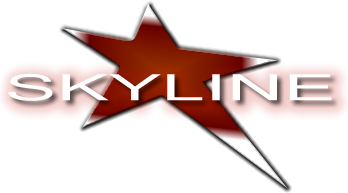 Aerial Hoop - Cirque - Skyline Talent & Events - Exclusive representation for Cirque USA. 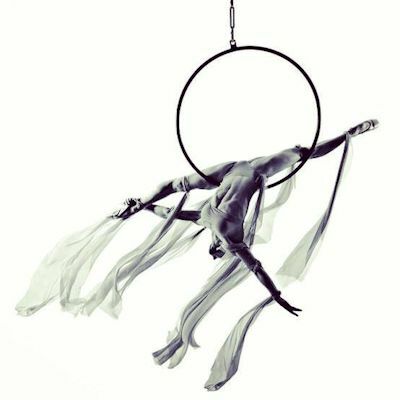 Suspended in the air, our aerialist pivots and twirls through a whirling hoop performing stunning feats of grace and dexterity in a colorful blend of strength, technique and artistic expression. Performing at times with only one hand or one foot through their strap, while hanging upside down and showcasing their dynamic tricks, the element of difficulty and danger will captivate any audience and leave them breathless. 20 ft ceiling height required off of one rigging point that holds a shock load up to 1,000 lbs. Cast in Orlando, Miami, New York, Las Vegas, Denver, Chicago & LA.